The AYDT Firebirds was organized in 2007 as a volunteer dance company made up of our upper level students in Ballet and Broadway/Jazz, ages 10-Teens, who have been studying dance for at least three years and have been taking two to three classes per week. 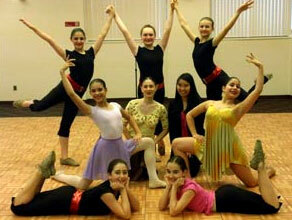 The repertoire performs ballet, jazz, tap and modern dance routines. Since its inception, The Firebirds have performed at Ronald McDonald House, Calvary Hospital, Women in Need Shelter, West Side Senior Center, DeWitt Nursing and Rehabilitation Center, and the Mary Manning Walsh nursing home. Members of the group dedicate a great deal of time to their dance education and this is an ideal opportunity for them to share their knowledge and joy of dance with others in the community, especially those who are ill or handicapped and would otherwise not be able to go to a performance. It’s also a great way for these dancers to see that there are other kids – some their own age or even younger – who are suffering from illnesses that prevent them from being able to enjoy activities that we all take for granted, such as dancing or sports. And it’s not just young people who are the audience: in an age where the family unit often does not include grandparents nearby, visiting geriatric hospital wards or nursing homes is a valuable way for The Firebirds to interact with and learn from elderly people. American Youth Dance Theater created The Lucy Walsh Fund as an outreach program in memory of one of our students who died suddenly and tragically in June 2011. 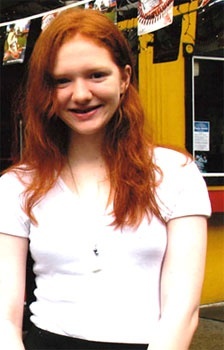 Lucy Walsh was a ballet student who began dancing at AYDT at the age of four and continued until her death at age 14. She had reached the stage in her training where she was a regular soloist in our recitals and a role model for many younger students. Through The Lucy Walsh Fund, we aim to honor Lucy’s commitment to dance by offering free or low-cost dance classes to children in financial need in order to afford them an opportunity to receive dance training that they might not otherwise be able to experience. The donations from private individuals and corporations will be used to cover our administrative expenses and supplemental costs for this program. Or you can donate by credit card online. The name of the sponsored project is The Lucy Walsh Fund. AMFAR: the American Foundation for AIDS Research is one of the leading organizations dedicated to HIV/AIDS research. American Red Cross: a humanitarian organization that provides emergency assistance, disaster relief and education across the United States. City Harvest: operates in New York City through food rescue and distribution, and education. Since 1982, City Harvest has rescued more than 500 million pounds of food, which is then provided to over 500 community food programs throughout the city. Covenant House: one of the largest privately-funded childcare agencies in the U.S., it provides services to homeless and runaway youth. Doctors without Borders: is an international humanitarian-aid and non-governmental organization, best known for its projects in war-torn regions and developing countries facing endemic diseases. The organization actively provides health care and medical training to populations in about 70 countries around the world. Doctors without Borders was awarded the Nobel Peace Prize in 1999. The Doe Fund: an organization that serves a diverse population working to break the cycles of homelessness, addiction and criminal recidivism. All of the Doe Fund’s programs ultimately strive to help homeless and formerly incarcerated individuals achieve permanent self-sufficiency. Meals on Wheels: supports more than 5,000 community-based senior nutrition programs across the country dedicated to addressing senior hunger and isolation. Smile Train: provides free cleft surgery for children in 87 countries. Women In Need: Women in Need shelters provide New York City’s homeless women and their families with safe, clean housing; support and the skills to become self-reliant. WIN serves about 9.000 families and 6,000 homeless children a year. Ronald McDonald House New York: provides a temporary home to families from all over the world who have traveled to New York for pediatric cancer treatment at city hospitals. UNFPA: The United Nations Population Fund works to ensure universal access to reproductive health, including family planning and sexual health to all couples and individuals. UNICEF: The United Nations Children’s Emergency Fund is a United Nations program headquartered in New York City that provides long-term humanitarian and developmental assistance to children and mothers in developing countries.